Marketing to healthcare professionals – what’s the key ingredient missing from most campaigns? What do you think is the difference between a campaign developed to win a share-of-mind with consumers and a campaign designed to gain the attention of healthcare professionals? What do you think is the difference between a campaign developed to win share-of-mind with consumers and a campaign designed to gain the attention of healthcare professionals? You might think this is a naïve question. It feels like it is, but if this is the case, why do marketers, brand builders, creatives and communicators from the consumer world struggle to deliver on the key performance indicators that ambitious healthcare companies expect of their agencies? In fact, why do even the better business-to-business agencies struggle when it comes to the healthcare sector? After all, healthcare professionals and consumers are the same human beings. We’ve quoted the author, Dean Burnett before. Dean is not only smart and funny but also an eminent neuroscientist, lecturing at Cardiff University Centre for Medical Education, whose Brain Flapping blog can be read in the Guardian. Dean and fellow experts in human behaviour also state that humans rarely, if ever, regardless of profession, make entirely objective and rational decisions. If you are healthcare professionals and reading this, then your hackles will now most likely be up. Having taken the Hippocratic Oath and attended medical school where you were armed with the power of evidence-based decision making, you’d argue that all your decisions are rational – carefully formulated from third party, real world evidence and peer reviewed data. However, the reality is that a lot of our decisions are being (often subconsciously) influenced by a whole host of instinctive human needs (time, money, health, hassle, career-progression, need for recognition and adornment…etc.) and biases – the latter being a consequence of our culture, upbringing and social outlook. However, therein lies the challenge when marketing to healthcare professionals opposed to consumers. Campaigns and communications targeted at this audience group need to satisfy their requirement for evidence-based research (who could really disagree with them on this when the beneficiaries of these carefully-weighed-up decisions are the rest of us – the patients? ), while also, more importantly, address their subconscious human needs and biases. Let’s take nursing in the UK for example. According to the BBC, the UK has a worrying shortage of nurses, with an estimated 42,000 current vacancies. So, you can imagine a campaign asserting that a wound care brand is X per cent better because of ‘such and such’ scientific claim would have as much impact as a wet flannel. Nurses share one common thought, and it is often strapped to their wrists: time. The reality is, they don’t have any of it. Come to them with a solution that helps them manage time and ironically, they’ll spare you a moment to hear how you can add value to their, and ultimately, their patient’s lives. “I’ve worked inside pharma in the past but now have three or four people from the industry in front of me each week. How can someone, supplying a product we routinely use for such key purposes, be so far removed from understanding our work, our language and how we cost things? Time is key, and opportunity cost is pivotal to any NHS calculation of value. I’ve been witness to so many situations where the pharma rep has not taken into account any of the cultural, social or economic diversities of the individual they’re engaging with. It’s pretty embarrassing to watch, and you can see that the healthcare professional has already switched off before they’ve even begun with their pitch,” says Primary Care Network Chair, David Thorne. Sandilands feels that an organisation’s sales team holds a lot of the answers when trying to understand a client’s psyche and true drivers since ultimately, they spend the most time with their clients over anyone else. “A campaign built without the input from the sales organisation is, in my opinion, like doing a puzzle with some of the pieces missing. Their input is imperative during the build-phase of a campaign.” She also recommends that the team start with the end goal in mind – what does success look like for the internal and external parties – and how this can be measured effectively. So, how do you develop marketing campaigns for healthcare professionals? With all of this in mind, we’d recommend, when trying to tackle the specialist healthcare professional audience, it’s imperative that you develop insights that identify the instinctive human needs and goals of the individuals you’re targeting, in addition to how these relate to their professional role. 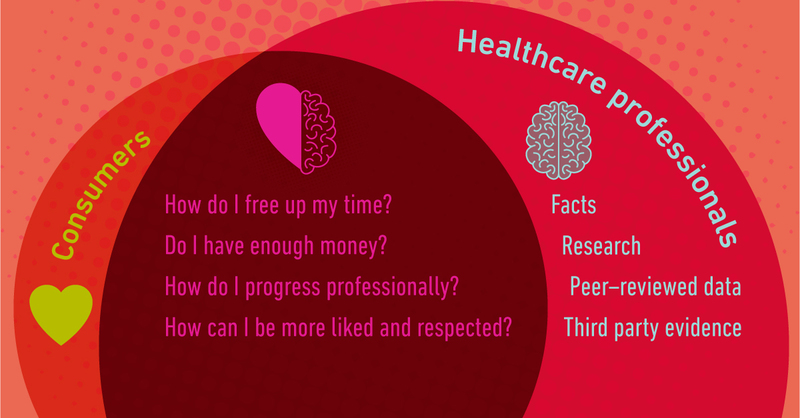 Once you’ve built the persona of your audience along these lines, you’ll begin to understand the paradox of healthcare professionals: they’re just like the rest of us but with a greater need to believe in being rational. Solving clinical challenges is all about better outcomes for patients and being more cost-effective. It is also increasingly about helping healthcare professionals in their efforts to be efficient whether it be a dentist aiming to maintain margins within their practice by reducing chair time or freeing up a nurse from ever-increasing bureaucracy so that they have more time for patients. If you can tap into their inherent human needs, you’ll win them over. Even the now somewhat dusty UK, 2016 Carter Report talks about ‘getting it right the first time’ and yet how many campaigns targeting our illustrious healthcare colleagues are designed to help them ‘get it right the first time’? A poor campaign talks about meeting healthcare requirements. A great campaign sparks questions and debate. To achieve a great campaign, you need to understand the people who have chosen to spend their lives improving the health of other people. You need to understand their issues, whether that be time, money, health or hassle, and how you, or your solution, might be of benefit in this context. Even more than that, you need to understand how you reinforce their sense of identity and confidence, as ultimately, we are all entirely dependent on this group of individuals for our future well-being and health. Are healthcare companies delivering great customer experience? Autism awareness week highlights the need to support those suffering from the condition, and their families and carers. International Women's Day has been celebrated since its inception in 1911. But how far have we come? Understanding your users’ needs is more critical online today than ever. A site should mould itself around these insights, deliver those needs quickly, efficiently and with plenty of white space. 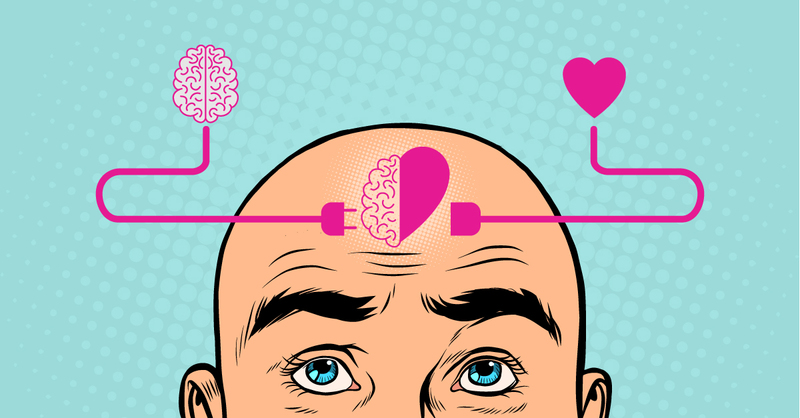 Is Valentine's Day good for your heart? In the age of the Instagram filter and the selfie, there appears to be no place in healthcare creative for false perceptions. You’re either REAL, or you’re HONESTLY FAKE. It's Tinnitus Awareness Week 4-10 February 2019. You can help by taking part in Tea for Tinnitus and increase awareness of this debilitating condition.